Home Rattlesnake Cable Company Give Away – the winner is.. I want to first thank everyone for participating in the Rattlesnake Cable Company give away! 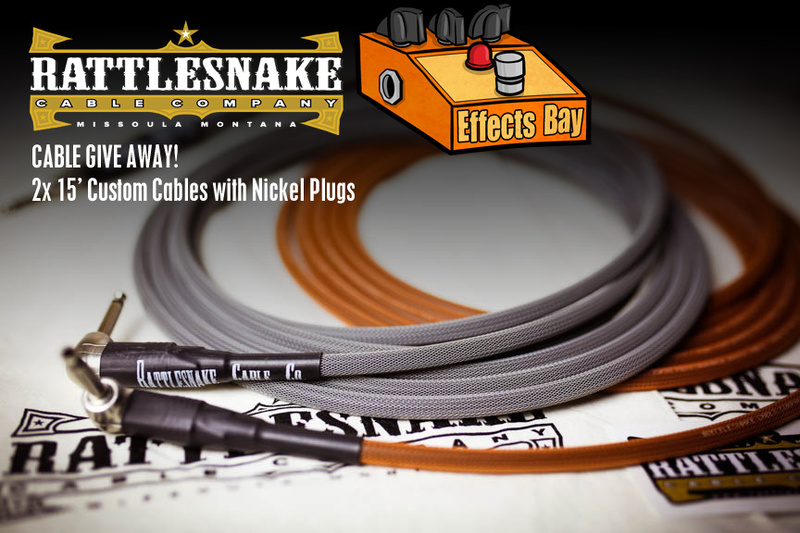 As I mentioned earlier, Rattlesnake Cable Company is something I’m extremely proud of and thought it would be great to give away a couple of custom 15′ cables here on Effects Bay – and based on the entries, you guys were into this give away! I’ve also been really excited about the new give away service I’ve been using as well. I love the option for bonus entries! I hope you guys are digging it as well! This afternoon, I picked a random the winner, and that winner is Carl M. in Jamestown, New York. Carl – congrats! I’ll be working on this build this week and you should get them mid-week. Please let me know what you think! I have a fun pedal on deck for the next give away. Please be sure to keep an eye out for the announcement.